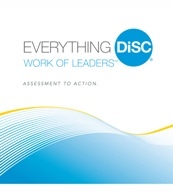 Here’s a great activity to build into your Everything DiSC® training sessions to help people share more in-depth details about their DiSC® style. 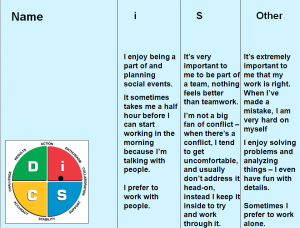 This activity is designed to be used after participants have been introduced to their primary DiSC styles. It’s a great way to keep DiSC alive in your organization! SAY: Pure styles are just the beginning of DiSC®. As we have mentioned throughout our session, everyone is made up of all four DiSC styles. One way we see this is through primary and secondary styles. 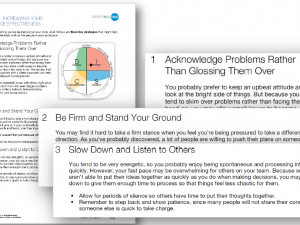 This activity is designed to dig a little deeper into DiSC, and to help you tell your DiSC story. Based on your blended style, what differences do you see between your responses from this activity in comparison to the Day in the Life (primary style) activity? 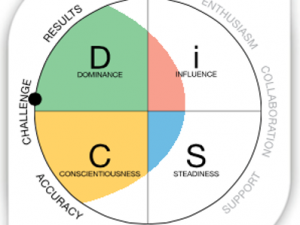 What are the benefits of understanding DiSC® and learning directly from people how they tend to behave in the workplace? 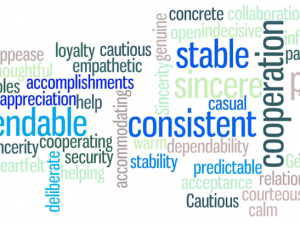 How can you use this knowledge to benefit your workplace relationships and your organization? 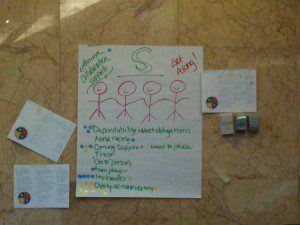 ASK: What did you discover through this activity and your table group discussions? SAY: I’ll leave these handouts up so you get the opportunity to read everyone’s handout and keep learning about your coworkers.